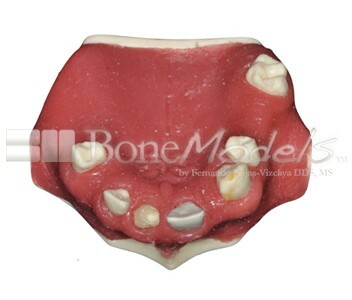 U-039A: Partially edentulous maxilla with left lateral with reduced MesioDistal space for small diameter implant and 3 mm ridge in right side for splint. -Socket in left central with dehiscence. 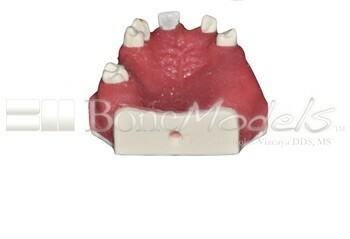 -Right central with root canal, periapical lession, cyst and facial marginal bone defect. 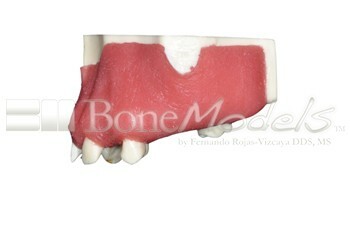 Missing right lateral with reduced MD space for small diameter implant. 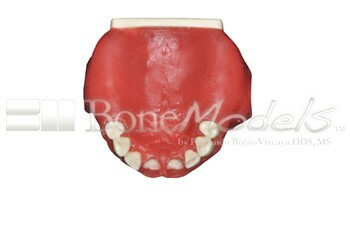 -Model with one sinus and Schneider membrane. 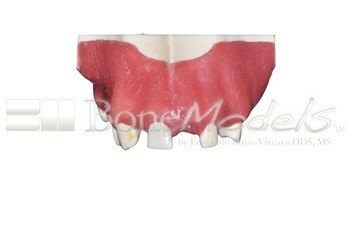 -3 mm ridge in right side for splint and with periosteum in this area. 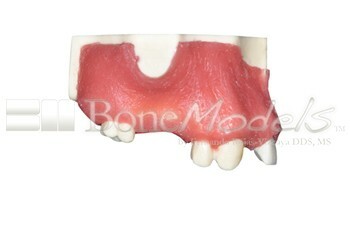 -Left sinus with 3 mm bone in the floor.